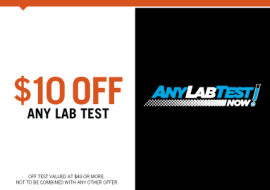 Order the same lab tests that your Doctor would order, on your own, at up to 70% off other laboratory prices. 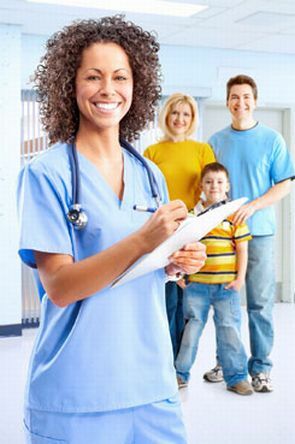 Choose any blood test without restrictions or questions. Results go directly to you or, if you wish, to your doctor. The Liver Function Panel (Hepatic Function) measures the blood levels of seven tests that you may want to check to see how well your liver is working. Your doctor may order it if you’re suffering from symptoms related to liver disease or if you regularly take medicine, which can affect the liver. This test is also recommended if you’ve been exposed to a Hepatitis A, B, or C virus. High or low levels in one of the seven tests in the Liver Function Panel (Hepatic Function) may indicate that liver damage or liver disease is present. If you’re taking medicine or if you’ve been exposed to hepatitis, this test is typically recommended by your physician. The stool ova and parasites exam is a test to determine the cause of prolonged diarrhea and/or other intestinal problems. In the laboratory, stool is examined for the presence of parasites or eggs (ova) and when found they will be identified. When you have signs of a parasitic infection such as prolonged diarrhea of unknown cause and/or you have blood in your loose stools, or other intestinal problems you should be tested to identify the cause. The Testosterone, Free (Direct), Serum with Total Test will determine the level of testosterone (free and total) in your blood. Testosterone is a hormone (commonly produced in males, but is also in females in small amounts) that affects sexual features and development. Testosterone levels explode in men after puberty and continue to rise until 40 years old. 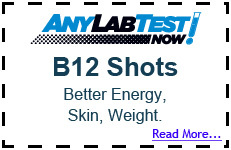 Overall, this test will give you a better understanding of how much testosterone is in your blood. If you’re taking steroids, a testosterone supplement, or any other anti‐aging medicine, you should consider Testosterone, Free (Direct), Serum with Total Test. These supplements promote muscle and bone growth, but too much can affect your body in other ways. MEN: High levels can indicate testicular tumors, adrenal tumors or anabolic steroid use. WOMEN: High levels can indicate Polycystic Ovary Syndrome or an ovarian or adrenal gland tumor. MEN: Low levels may indicate hypothalamic or pituitary disease or damage to the testes. It can also indicate testicular failure or infertility. WOMEN: Women should have low levels.